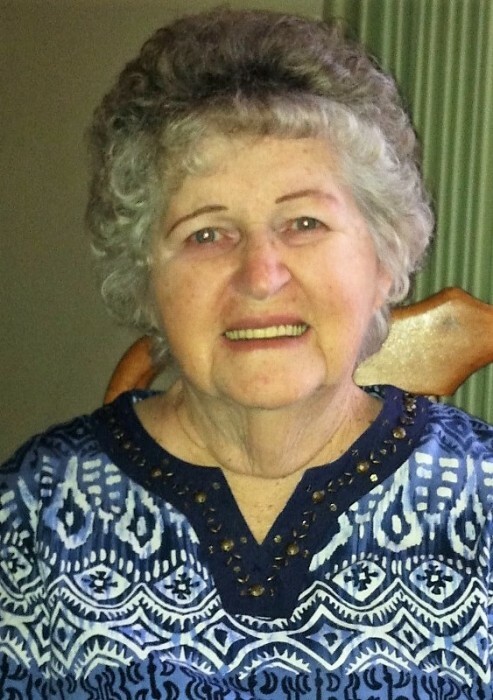 Karen Lorraine Walker, age 80, of Frankton, passed away on Friday, January 11, 2019 at Miller's Merry Manor in Chesterfield following an extended illness. She was born in Muskegon, Michigan on September 27, 1938, to the late George and Iris (Stahl) Welch. On June 2, 1956 she married Jerry Walker, and they shared more than 62 years of marriage. Karen held various jobs over the years including working for Frankton Jr/Sr High School Cafeteria, Mobile Missionary Assistance Program, Walt Disney World, and her most important job being a loving wife, mother and homemaker for her family. She loved traveling across the country, and she visited many countries of the world with her husband. They were avid RV'ers, becoming missionaries with the Mobile Missionary Assistance Program, and making many lifelong friends. Karen's love of music allowed her to play many instruments, with her favorites being the piano and organ. She was a gifted painter with oils and watercolors, creating many cherished works. She shared her passions with others; which filled her life with joy and love. Karen is survived by her husband of 62 years, Jerry Walker of Middletown; children, Sheryl (Charles) Best of Frankton, Nancy Walker of Fishers, Wayne (Tammy) Walker of Greenwood, and Lisa (Jason) LeMaster of Frankton; sisters, Dorothy Pruitt of Goshen, and Janet (Gary) Kinser of Frankton; six grandchildren, Sarah Lawler, Barbara Matson, Phillip Best, Lauren LeMaster, Rachael LeMaster, and Hannah Walker; eight great-grandchildren, and several nieces and nephews. She was preceded in death by her parents and a sister, Joyce Ring. A funeral service to honor Karen's life will be at 2:00 pm Tuesday, January 15, 2019 at Harper & Dunnichay Funeral Home, 305 East Sigler Street, Frankton, IN 46044 with Pastor Steve Binns officiating. Burial will follow in the K of P & I.O.O.F. Cemetery in Frankton. Visitation will be Tuesday, January 15, 2019, 12:00 pm - 2:00 pm, at Harper & Dunnichay Funeral Home. Memorial contributions may be made to Frankton Ambulance Service or Pipe Creek Township Fire Department through the funeral home.